Whether you need to buy a retirement or long service gift for a member of your staff, a thank you present for the best man at your wedding or a birthday present for the whiskey lover in your life, a hip flask could be just what you’re looking for. What’s more, you can make it even more meaningful by having it engraved with personalised message to mark your colleague, friend or family member’s special day. 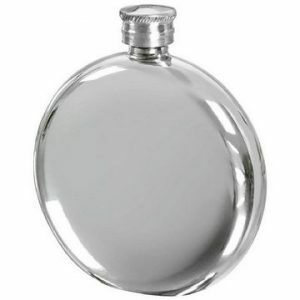 When you want to recognise the fact that someone’s reached a personal milestone or achieved professional success, you can do it with style by presenting them with one of our classy flasks. Delightfully decorative and fabulously functional, they can be used to store a favourite tipple in when going to parties or on the move, or simply placed on a mantlepiece or in a display cabinet as an eye-catching memento of a significant occasion in the owner’s life. 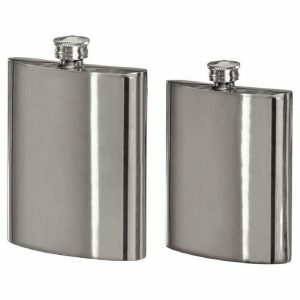 A hip flask always makes a sophisticated gift, but our product range includes some exceptional examples. Crafted from high-quality materials, such as pewter, they’re available in a number of attractive designs. Browse the options in our online store and you’ll be able to find flasks in various sizes and to suit different budgets – and all of our products can be individualised for a small additional charge. Our talented in-house team can engrave your flask with the recipient’s name, the date and details of the occasion that they’re celebrating, or any other wording of your choice. When you shop for a personalised flask with us, not only will you receive a product to be proud of, you’ll also find the whole process a breeze. You can place your order on our website and complete it in just a few clicks. Our simple-to-use system means that you can notify of us of any message that you’d like engraved on your chosen product with ease, and we aim to deliver orders within three to five working days, so your flask will be with you rapidly. If you have any questions about any of the flasks in our range or need any help with placing your order, however, don’t worry. Just give us a call on 020 8722 0250 and let us know what we can do.